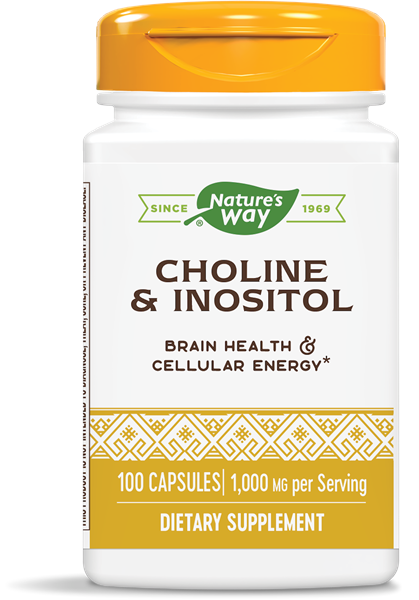 Choline-Inositol / 100 Caps - Nature's Way®. Choline and Inositol help maintain cellular efficiency, proper nerve function and metabolism of fats and HDL (good) cholesterol. * This product contains crystalline inositol and choline bound to tartaric acid.